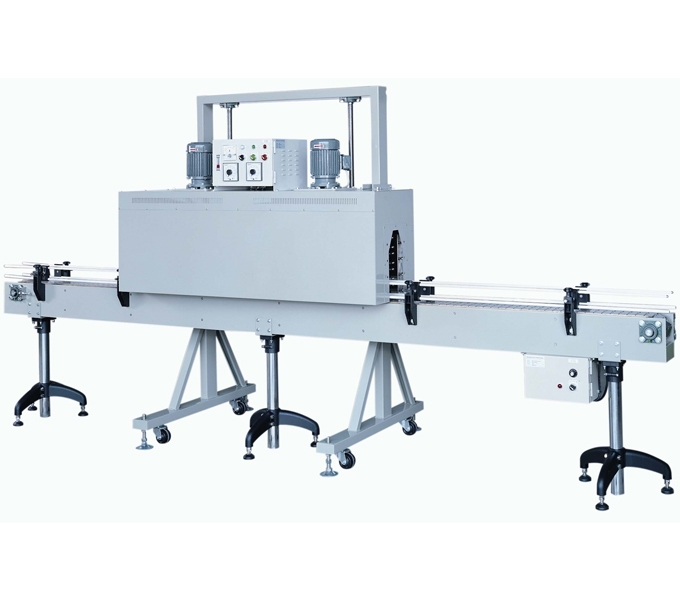 Electric sleeve shrink tunnel is second stage in sleeve application system which is applying heat shrinkable sleeve labels or tamper evident bands. Adjustable tunnel height for easy operation. Adjustable tunnel temperature for varies applications. Variable conveyor speed to make a perfect shrink appearance. High speed and stable performance. For automatic shrinking of tamper or full body sleeves and cap shrink applications. The air outlet adopts special design with flashboard inserting, easy adjusting. Stainless steel heat insulation panel features safe and nice-looking. Digital display temperature controller designed with SSR constant temperature device.